The children have all had a fabulous start to the year! 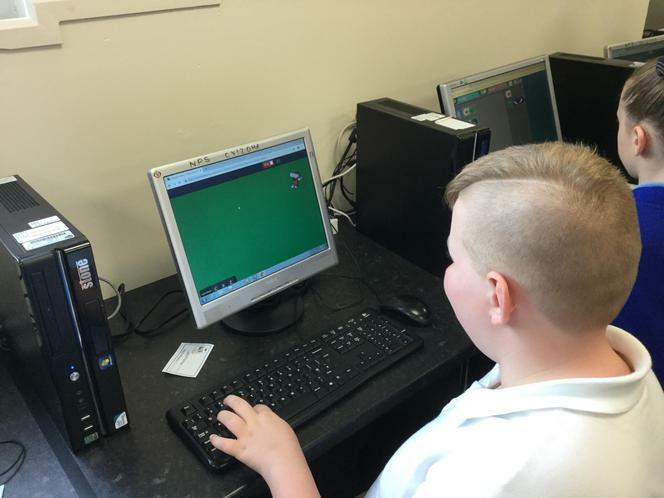 We are well underway with our new learning in all areas. 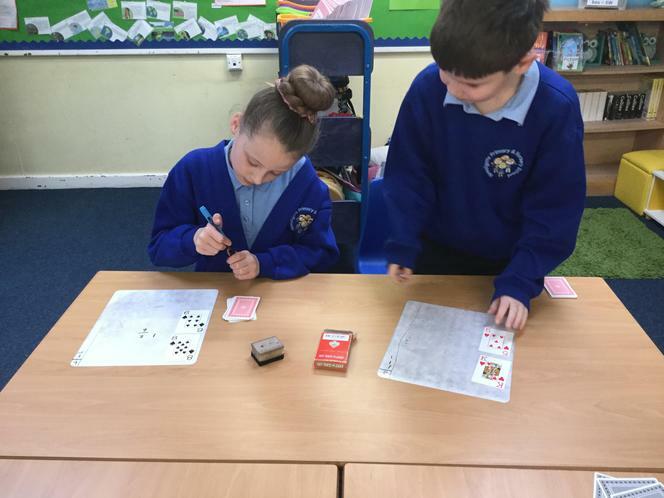 In maths we are focusing on the place value of numbers with more than 5 digits, mental strategies and addition and subtraction. We have been developing our problem solving and reasoning skills to support our understanding in these mathematical areas. 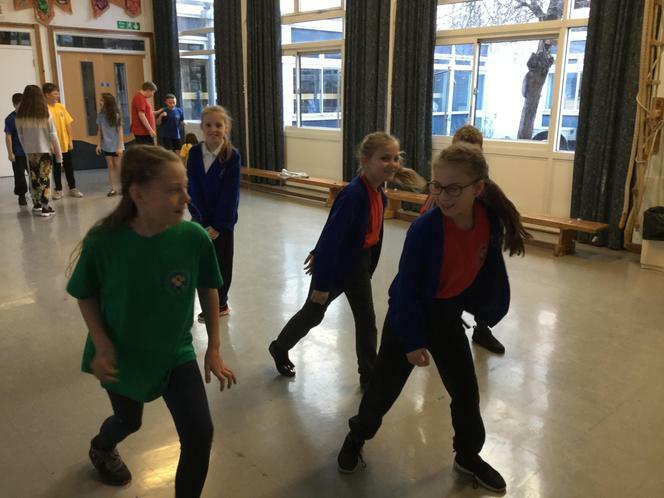 Our focus text for the half term is 'The Highwayman' by Alfred Noyes. 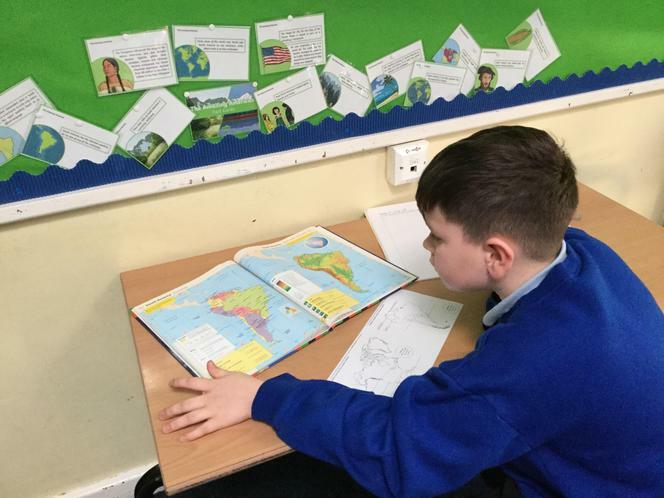 We have emersed ourselves in this narrative poem and have been appraising the language and illustrations that have been used to support the text. 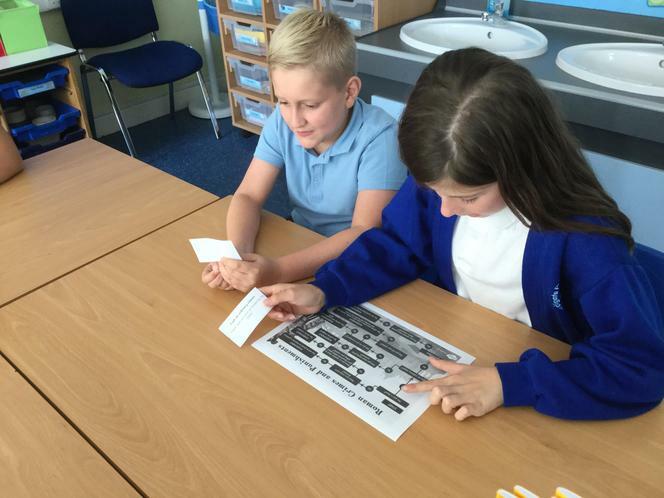 To bring the text to life we have created our own black and white line drawings for different sections of the poem. 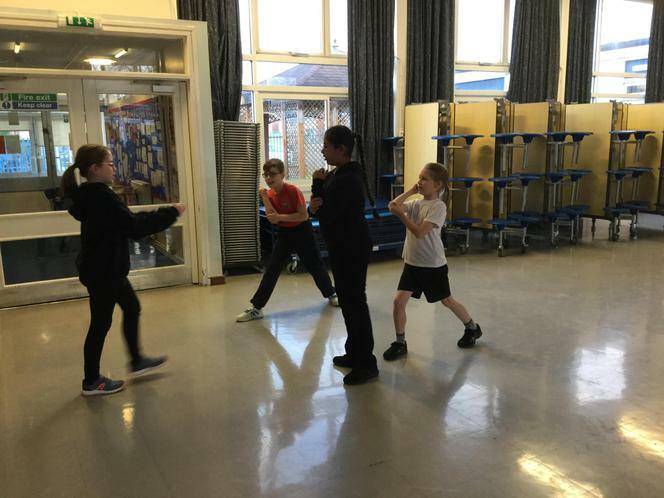 Forces is the scientific concept that we are learning about this half term. 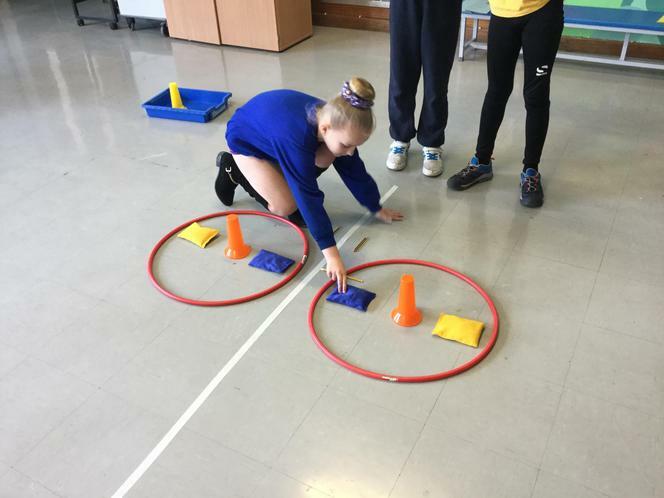 We are using our scientific enquiry skills to develop our understanding about gravity, friction and air resistence by completing a variety of practical activities. 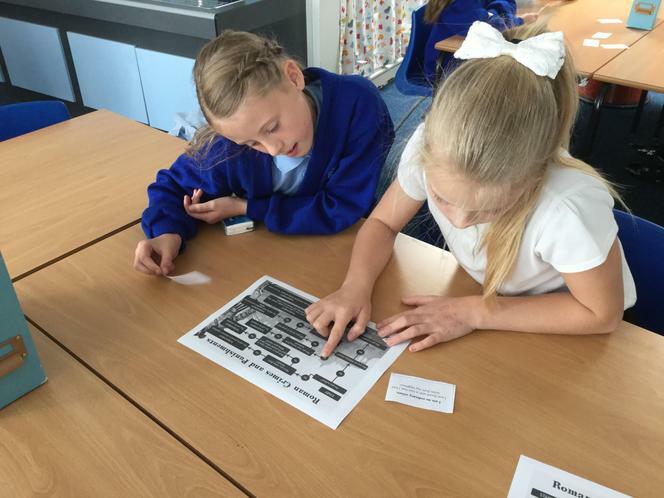 Linking well with our learning about 'The Highwayman' we are researching the history of crime and punishment from the Roman times to the modern day. 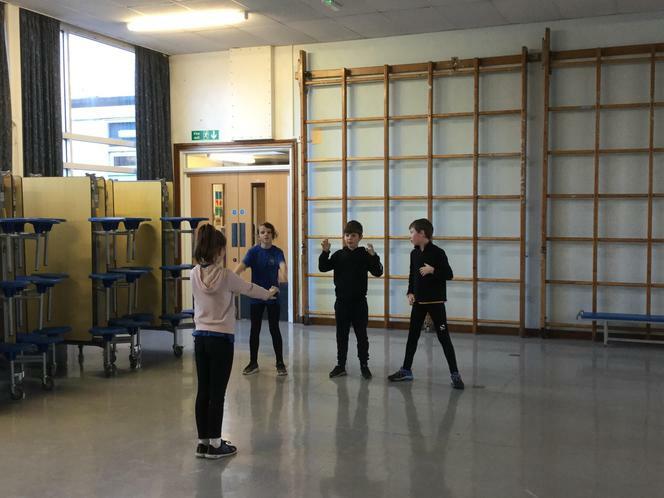 We have used role play to investigate punishments in the Victorian and Medieval times, followed flow diagrams to match crimes to punishment from the Roman era and created our own timeline to demonstrate our understanding of what we have learnt. 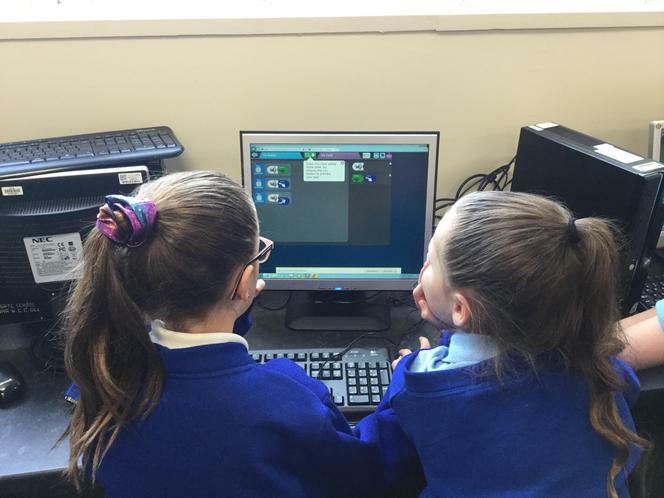 We have then followed instructions to create and run our own app. 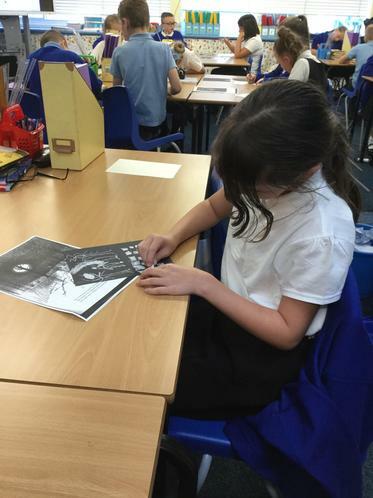 Our focus in writing during the first part of the Autumn term is editing and proof reading our work. In our classroom we have a new ‘Selfie Station’. This is helping us to self assess our writing so that we can independently identify any spelling or grammatical errors in our writing. 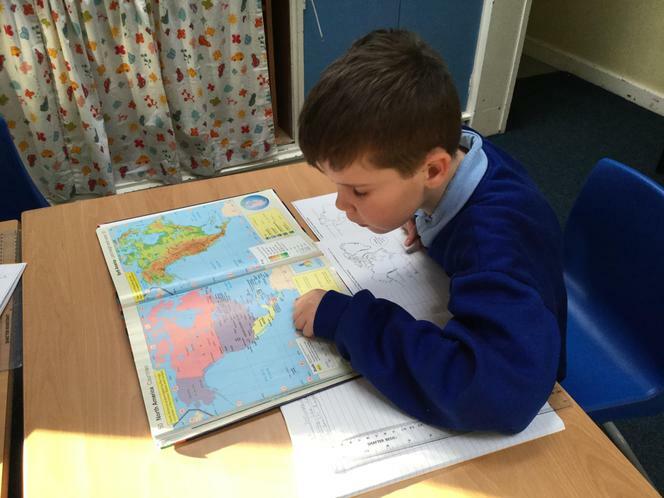 We have really enjoyed our focus on The Highwayman by Alfred Noyes and have moved onto learning about the life of Ernest Shackleton through the text Shackleton’s Journey by William Grill. 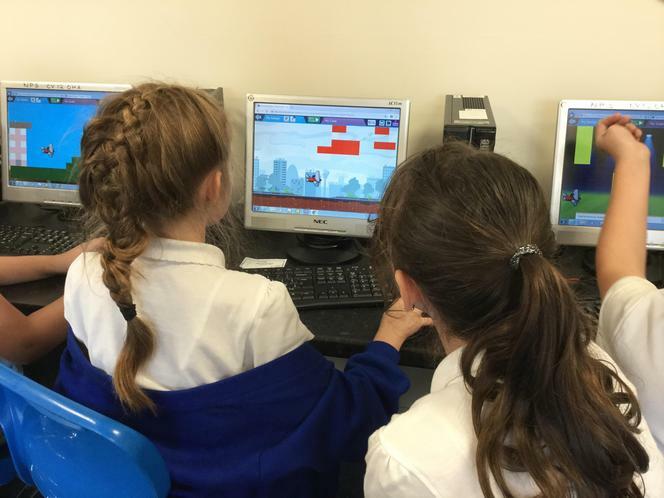 The children are feeling refreshed after the Christmas holiday and are already working hard on their new learning. 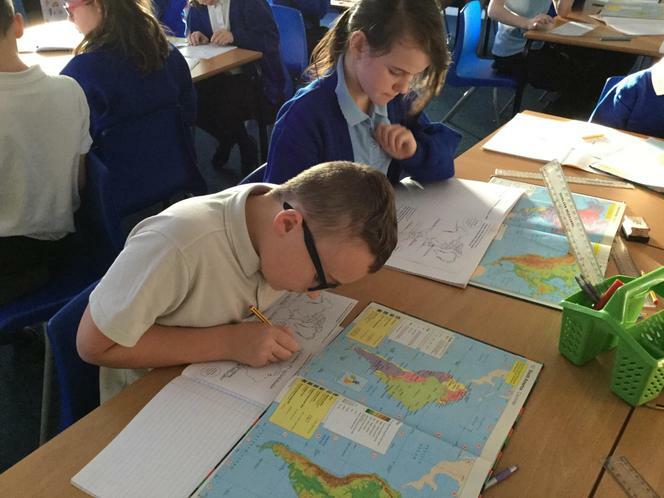 For our new topic the children will be learning about ‘The Amazing Americas’, we have started our learning by using atlases. 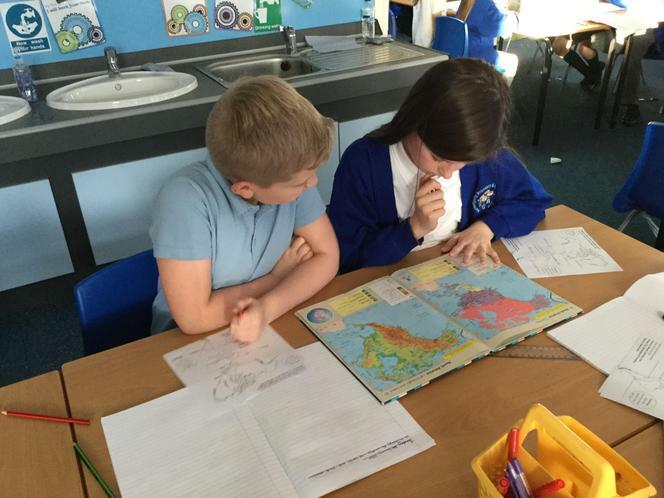 We have familiarised ourselves with how to navigate an atlas and used this to help us identify countries in North and South America. Did you you know that North America is actually made up of 23 different countries? Do you think you could name any of them? We are continuing our science learning on Materials and their properties. 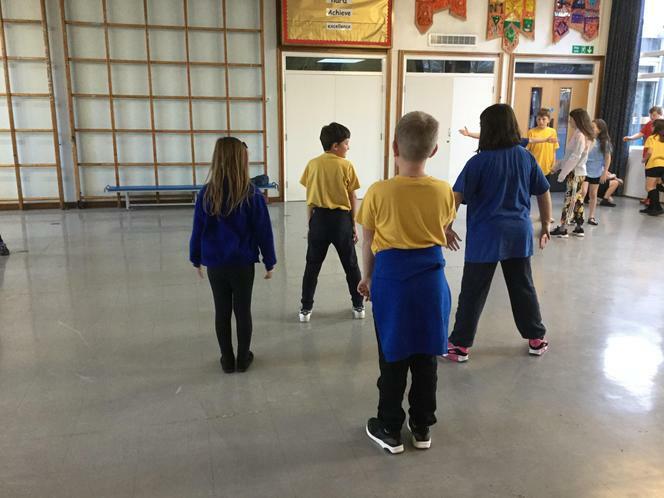 To being our term we have been learning about reversible and irreversible changes. 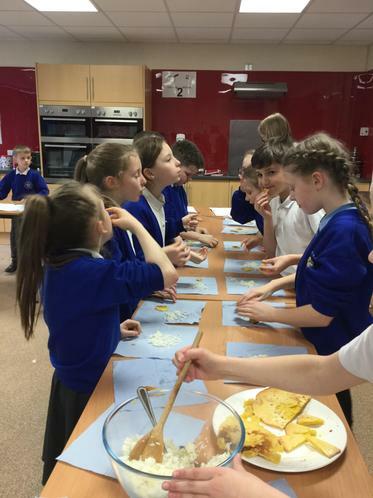 To help us understand the difference between reversible and irreversible changes we have been making our own soda bread. 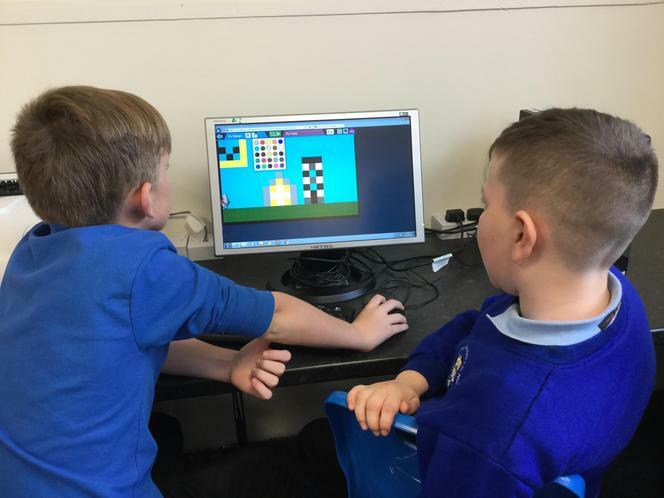 This demonstrated to us that some changes are irreversible because the materials cannot revert back to their original state and new materials are made. 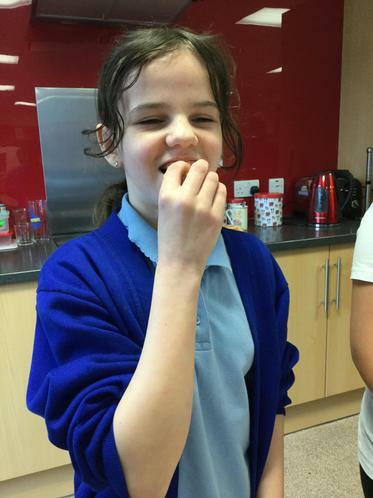 We tasted the bread we made and it was delicious! 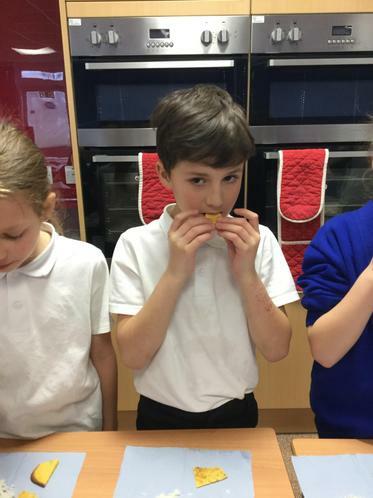 Take a look at the soda bread that we made! 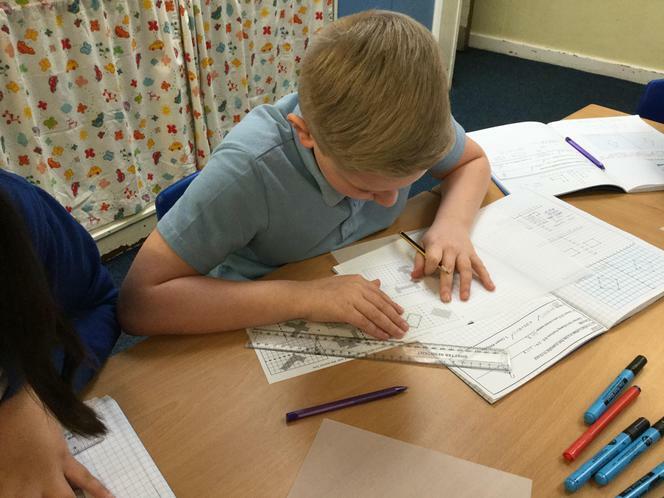 Following the half term holiday we have continued our learning on fractions, adding and subtracting fractions with related denominators. 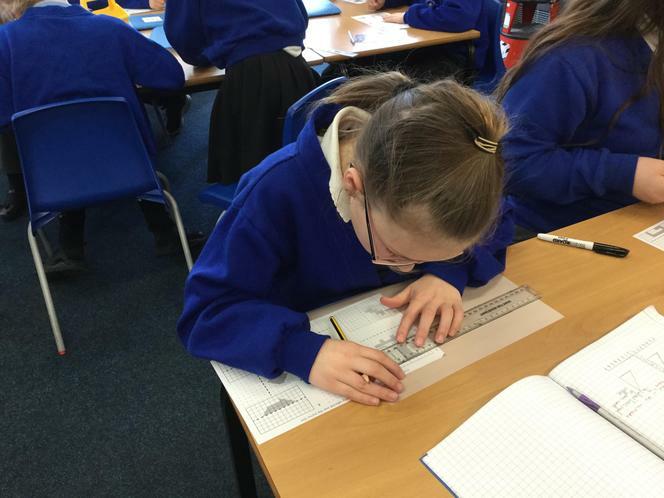 We have also been converting between mixed numbers and improper fractions. 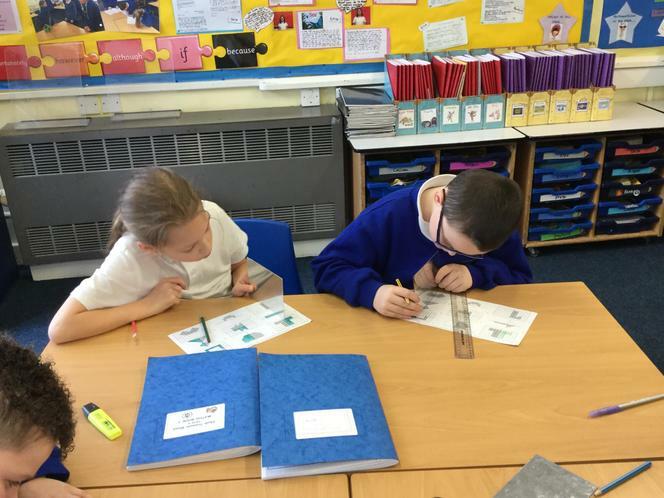 To consolidate our learning we used the story Fractions in Disguise on World Book Day to compare and order fractions as well as identifying unit and non unit fractions of amounts. 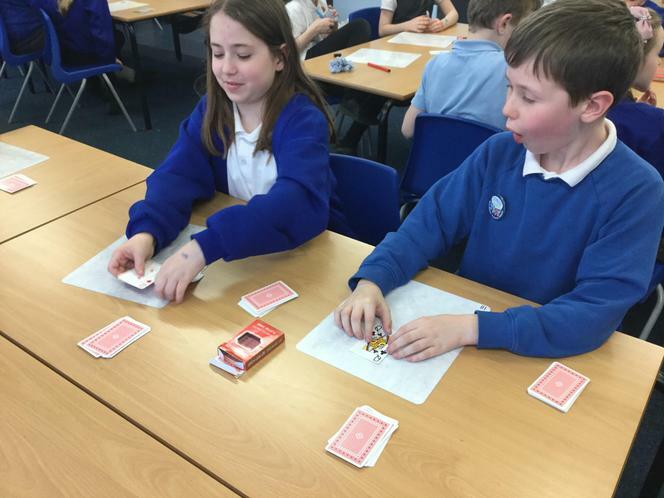 Using playing cards we created improper fractions linked to the story to play our very own Fraction Battle in pairs to see who hadmade the largest fraction. 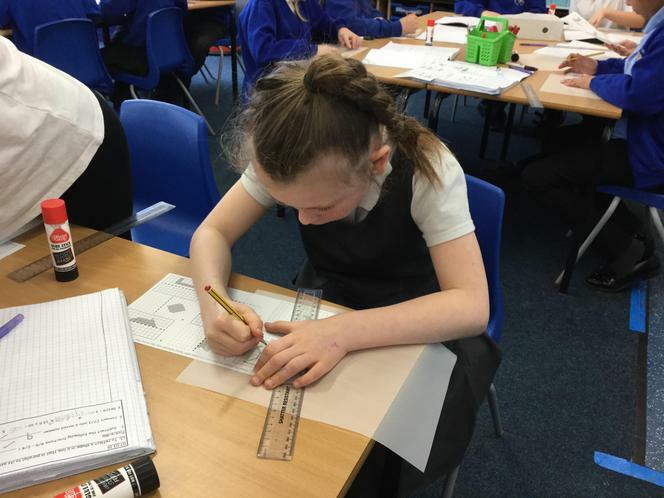 Our learning journey continued by idenfitying the coordinates of reflected shapes as well as using mirrors and tracing paper to draw reflected shapes ourselves. 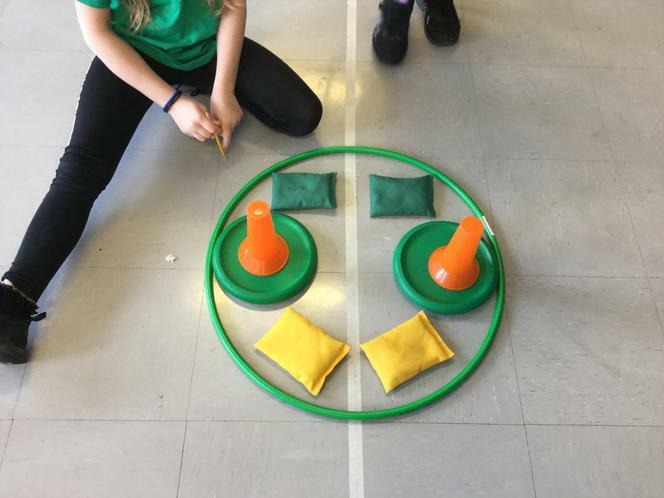 We worked practically in the hall using PE apparatus to develop our understanding of reflection and described how shapes were reflected using specific vocabulary. 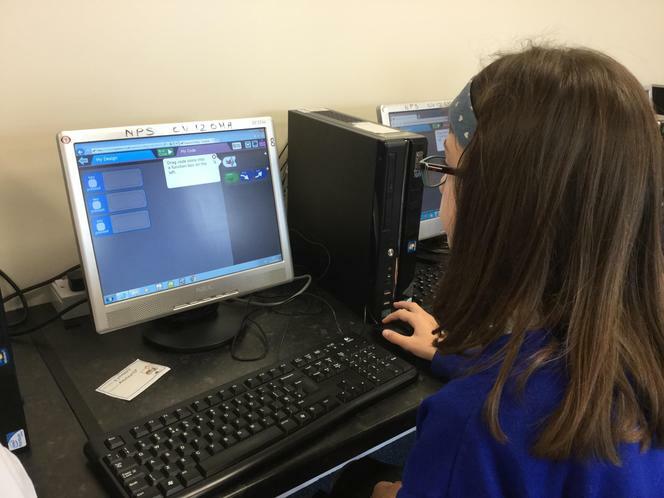 This half term we are linking our design and technology learning to our class text Journey to the River Sea by Eva Ibbotson. 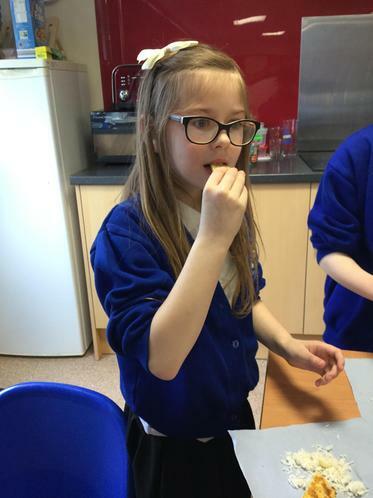 The story is set in Brazil so we have been researching the traditional foods of this area and made some of our own, we then tasted the food and gave our opinion on it. To demonstrate our ratings of the different foods we created a scatter graph of our opinions.